Dr. Feldman accepts the following list of insurance providers. Select your insurance provider to see more details. I am a medical oncologist who cares for people with genitourinary cancer. I specialize in treating testicular cancer (germ cell tumors) and kidney cancer (renal cell carcinoma). My research centers on developing new drugs or drug combinations for people with these cancers. I also lead national and international clinical trials for people with genitourinary cancer. I became interested in cancer care at a very young age. My father is a medical oncologist. He took me on rounds with him when I was in high school and I appreciated the close relationships that oncologists develop with their patients. I was also drawn to the fascinating biology of how cancers form and progress. My career choice was solidified after being exposed to the leading-edge research and patient care at MSK while spending part of my residency and completing my fellowship here. When I meet with people who have recently been diagnosed with cancer, my goal is to help them feel informed about their disease and treatment options. I want them to be confident that they are going to get the best care possible. I reassure them by discussing our vast experience with treating their illness and preventing and addressing treatment-related side effects. Studies have shown that people whose cancer is treated at an experienced cancer center like MSK achieve better outcomes than those treated at less specialized institutions. I am proud to be among the most experienced doctors caring for people with testicular cancer and kidney cancer. Equally as important, I treat my patients with compassion and respect, just as I would want my own family to be treated. People with kidney cancer are now benefitting from advances made during the last 15 years, many led by researchers at MSK. We now have more treatment options than ever to help control the disease. Immunotherapy and targeted therapies combined with immunotherapy are producing unprecedented response rates and survival outcomes. My research in this area is examining the integration of PET imaging and radiolabeled targeted therapies for people with clear cell renal cancer, which has shown resistance to standard treatments. I am also working to better understand non-clear cell renal cancer, which is less common. 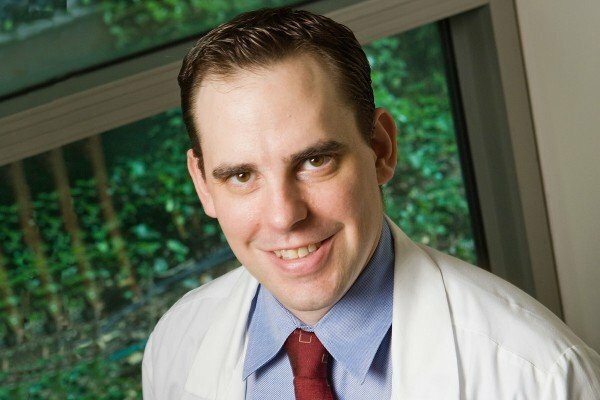 I direct MSK’s testicular cancer research program, which addresses all aspects and stages of the disease. We are testing various therapies and the effectiveness of treatment combinations, including immunotherapy and targeted therapies. In fact, we are one of the only institutions in the world conducting studies to understand why some people develop germ cell tumors. We are also assessing the biologic basis for why some of these cancers are resistant to chemotherapy. I also collaborate with the laboratory of David Solit. My colleagues and I are working to identify the molecular features of testicular cancer that could predict sensitivity or resistance to chemotherapy and overall patient outcomes. In addition, I concentrate on characterizing and preventing the long-term side effects of treatment for testicular cancer, such as heart disease, metabolic syndrome, and other cancers. I have presented my research and lectured at meetings throughout the United States and in other countries. Outside of work, I enjoy spending time with my wife and daughter, learning languages, reading mystery novels, and playing golf. I treat my patients with compassion and respect, just as I would want my own family to be treated. Feldman DR, Hu J, Dorff TB, Lim K, Patil S, Woo KM, Carousso M, Hughes A, Sheinfeld J, Bains M, Daneshmand S, Ketchens C, Bajorin DF, Bosl GJ, Quinn DI, Motzer RJ. Paclitaxel, ifosfamide, and cisplatin efficacy for first-line treatment of patients with intermediate- or poor-risk germ cell tumors. J Clin Oncol. 2016 Jul 20;34(21):2478-83. Voss MH, Molina AM, Chen YB, Woo KM, Chaim JL, Coskey DT, Redzematovic A, Wang P, Lee W, Selcuklu SD, Lee CH, Berger MF, Tickoo SK, Reuter VE, Patil S, Hsieh JJ, Motzer RJ, Feldman DR. Phase II trial and correlative genomic analysis of everolimus plus bevacizumab in advanced non-clear cell renal cell carcinoma. J Clin Oncol. 2016 Nov;34(32):3846-3853. Bagrodia A, Lee BH, Lee W, Cha EK, Sfakianos JP, Iyer G, Pietzak EJ, Gao SP, Zabor EC, Ostrovnaya I, Kaffenberger SD, Syed A, Arcila ME, Chaganti RS, Kundra R, Eng J, Hreiki J, Vacic V, Arora K, Oschwald DM, Berger MF, Bajorin DF, Bains MS, Schultz N, Reuter VE, Sheinfeld J, Bosl GJ, Al-Ahmadie HA, Solit DB, Feldman DR. Genetic determinants of cisplatin resistance in patients with advanced germ cell tumors. J Clin Oncol. 2016 Nov;34(33):4000-4007. Visit PubMed for a full listing of Dr. Feldman’s journal articles. Pubmed is an online index of research papers and other articles from the US National Library of Medicine and the National Institutes of Health.